Treat your eagles to the eye-catching eagle resin trophies! 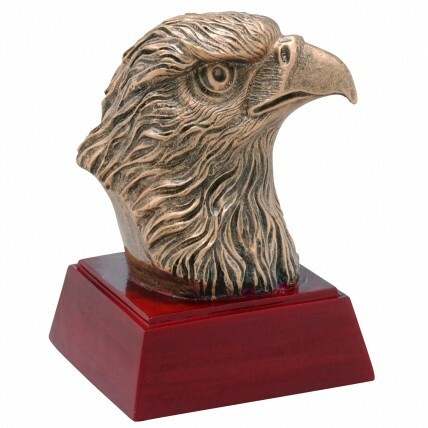 They feature a detailed gold eagle head on a rosewood colored base. Gold lettering on a black brass plate makes the Resin Eagle Trophy the ultimate award for all eagles!